The Refined Geek » The Falcon is About to be Unleashed. The Falcon is About to be Unleashed. I’ve got a not-so-secret man crush on the entire SpaceX operation. In a time of diplomatic turmoil and economic disasters they have continued to pioneer on with their founder’s dream of being the first fully private company to deliver launch capability to the wider world. It’s been quite a roller coaster ride for them but they’ve constantly shown that every failure is just another step towards ultimate success. With their Falcon 1 having notched up 2 successful launches in a row they have upped the ante quite considerably by rolling out their Falcon 9 rocket at Launch Complex 40 (home to famous launches such as Cassini-Huygens) and just recently, they moved it into launch position. Fueling rehearsals, called a wet dress, and a short, 3.5-second static test firing of the Falcon 9’s first stage engines are the next major milestones. 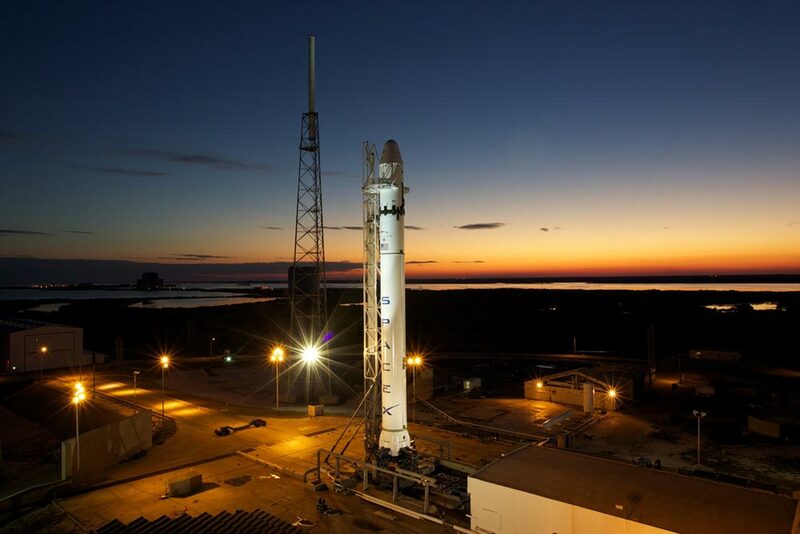 “SpaceX has not set specific dates for wet dress or static fire as [the] schedule will be driven by the satisfactory completion of all test objectives and a thorough review of the data,” SpaceX officials said in a Sunday update. This is not the first time SpaceX has hauled its 180-foot (55-meter) Falcon 9 rocket vertical atop its launch pad. The company assembled and moved its first Falcon 9 to pad in January 2009 as part of integration tests. So in essence for the past couple months SpaceX has been doing dress rehearsals for what it would be like to do a fully fledged launch of their Falcon-9 rocket. They’ve also been making modifications to their launch site in order for it to be able to handle the Falcon as it was previously set up for the Titan series of rockets. Whilst they may have erected the rocket like this before they weren’t doing it in preparation for an actual live fuel and fire test, which is scheduled to happen sometime soon. In the middle of all the controversy surrounding the future of America’s place in the final frontier it’s refreshing to see private companies forging ahead like nothing had changed. The public might not yet know about SpaceX and their various accomplishments but we’re only a short few years away from the first fully private company sending cargo and people into the great black sea that surrounds us all. And I couldn’t be more excited!